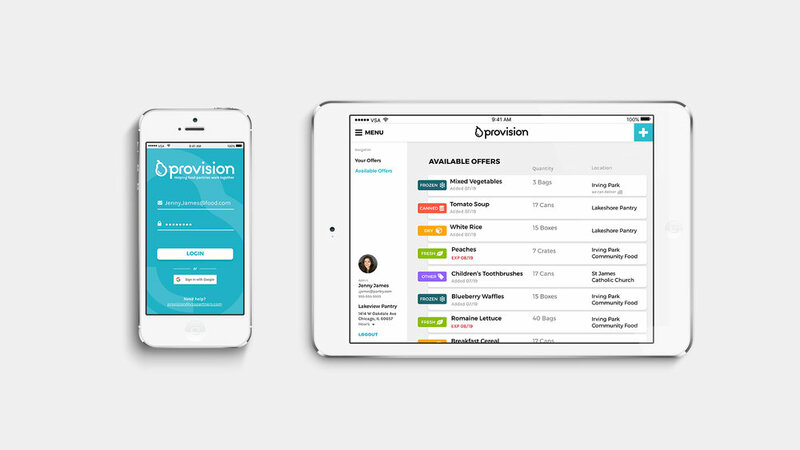 Provision — Shabina Aslam | UX Researcher at RealPage, Inc.
Building a most viable product to help reduce waste locally by more effectively distributing food. In two weeks, build a web app that helps food pantries. Food pantries can’t anticipate inventory fluctuations, which affects their ability to serve their local communities. With unreliable suppliers and shifts in demand, the availability of fresh food, and the risk of waste can negatively impact the community in need. The image on the right shows one of several bins that food pantries fill with spoiled food and throw away each day. Make sure that food pantries always have enough of what they need by allowing one-to-one communication. 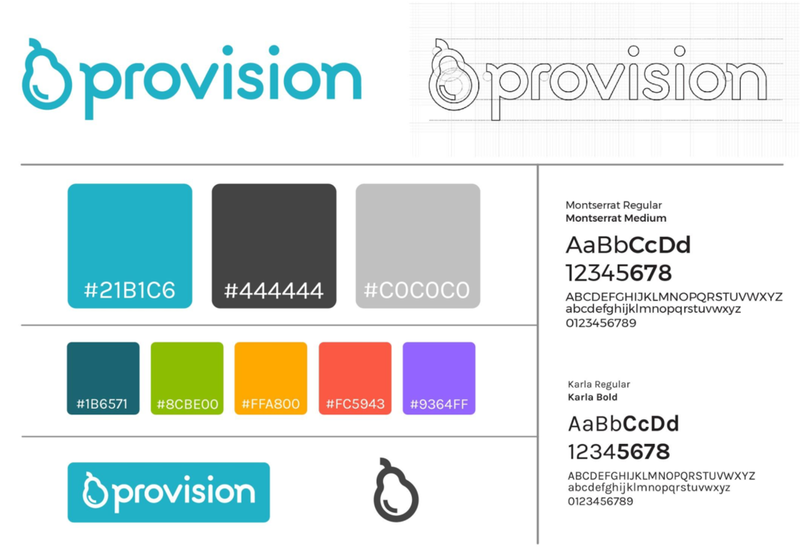 Provision is a network specifically designed to connect food pantries to help match the supply and demand of inventory across local food pantries. Food donation sizes and shipment times are inconsistent and can vary due to a pantry's hours of operation. Food drives typically bring in one type of food (ex: canned food drive, peanut butter drive). Some food pantries are located in communities that may have disproportionate amount of people with dietary specifications (ex: community with high number of diabetics). Provision is intended to be used by food pantry administrators and volunteers alike. We used our understanding of food pantries and our users to develop brand guidelines and to inform our executions. "No rotten strawberries" was the mantra for our two week sprint. Our objective was to make a most viable product (MVP) that would help eliminate the occurrence of spoiled strawberries from our local pantries. 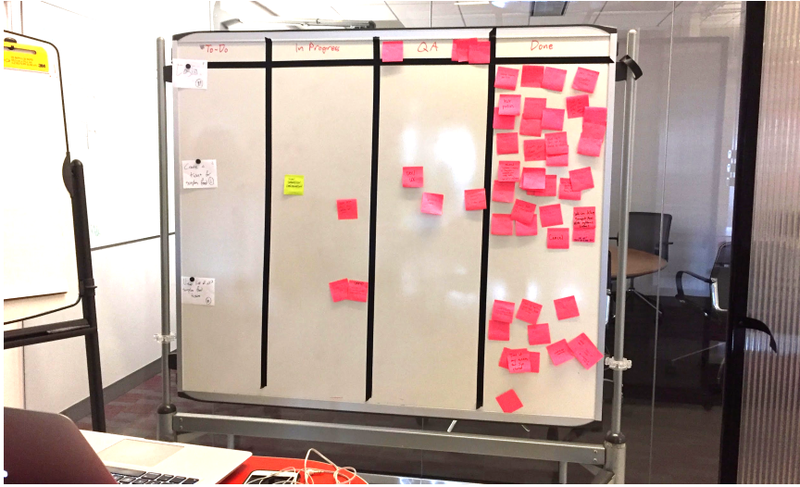 At the beginning of each day, we delivered a progress report to our scrum master, Eric Rolfsen, and identified which tasks were left to do, in progress, required testing, and done. The login page serves as a starting point for all users. active offers and available offers. Food categories are featured in color-blocks: fresh, dry, frozen, canned and other. Expiration dates are prominently featured to indicate urgency. The ticket form allows users to document what excess inventory they can share. It includes quantity, food type, storage information and expiration date. It also gives information about the pantry posting the ticket. The ticket form connects the dots through the path of least resistance by reducing confusion. Opening the ticket gives more information about where the pantry is, when the food can be picked up and which person to talk to. Users can call dibs on an offer by notifying the person who created the ticket and the rest of the network knows the offer has been claimed. As part of the MVP, accepting a ticket does not remove it from the network, but helps initiate communication between both parties. Closing a ticket frees up the dashboard for the pressing tickets that still need attention. When a ticket is closed, it is filed in the archive under "Giving" to keep a record of which pantry has claimed the offer and is coming to pick it up. This project was produced during my summer internship at VSA Partners in Chicago, IL.